Summer has finally come to Seattle, and we Melrose Promenaders are making the most of the effusive sunshine and warm breezes. 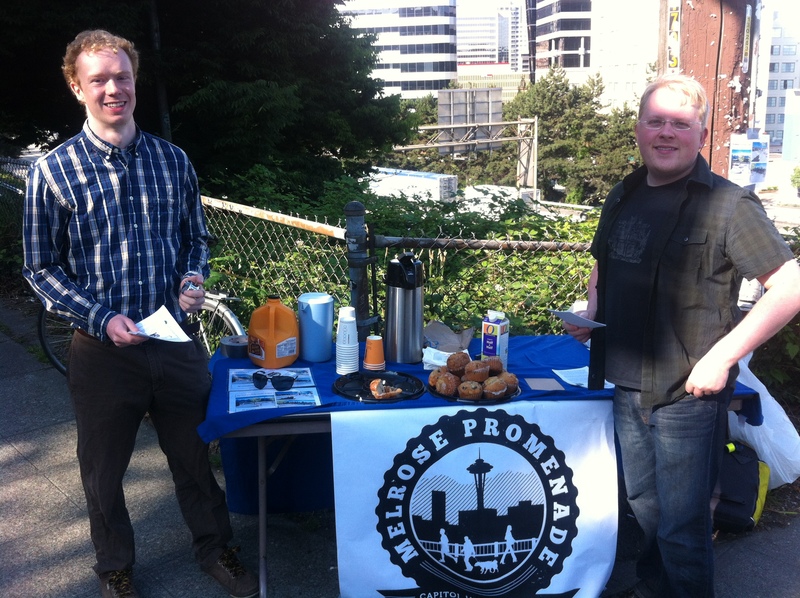 On Friday morning, we greeted morning commuters at the corner of Melrose and Denny with free muffins, coffee, and conversation at our second Muffins on Melrose event. Thank you to the dozens of community members who stopped by our table to learn more about our vision for the Melrose Promenade, and especially for all your encouragement and helpful advice. Thank you also to our volunteers who helped make the event a success! Interesting fact: We counted more than 400 pedestrians and bicyclists passing through the intersection of Melrose and Denny between 8am and 9:30am. 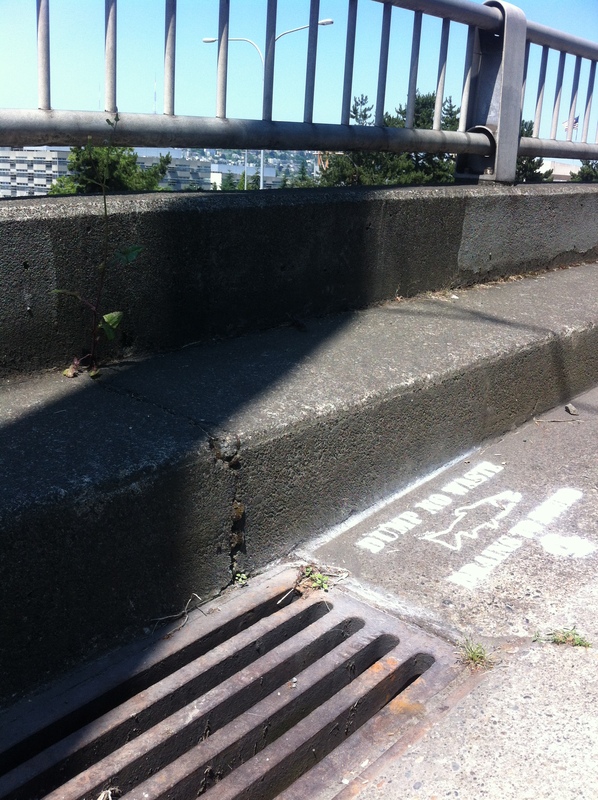 (Our friends at SDOT, did you hear that?) Who ever said Seattle couldn’t be a walking and biking sort of town? Volunteers Gordon and Nicholas are all smiles Friday morning for Muffins on Melrose. 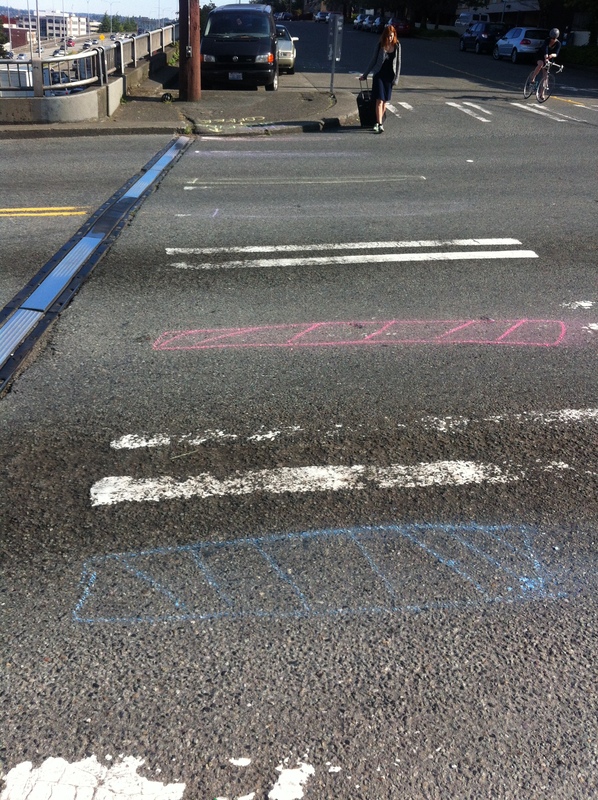 It’s amazing how far a little chalk can go to fix a faded crosswalk! Eric, Mel, and David strategize how best deal with these weeds. Thanks to Mark and Val, our storm water signage team! This morning, we held our second Melrose Promenade Community Cleanup, and Melrose hasn’t looked better in years! 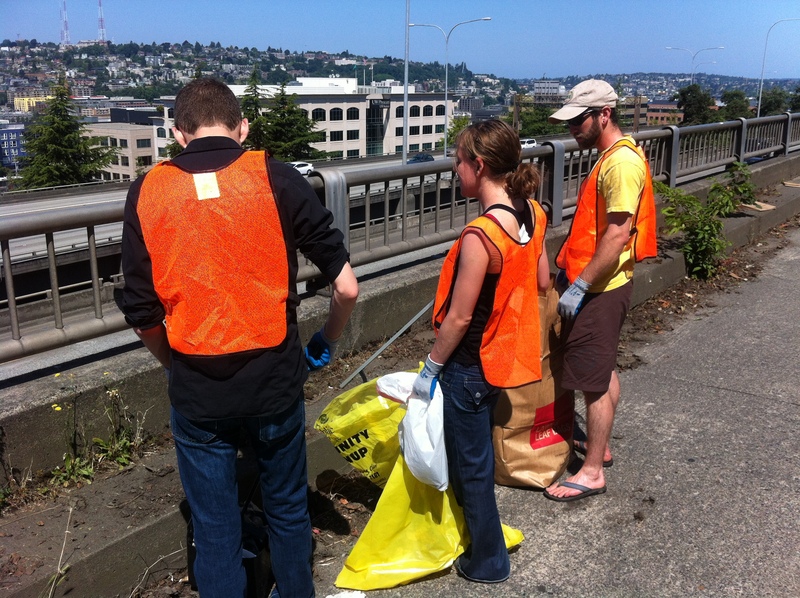 We tackled the weeds on the sidewalk and along the guardrail that survived last month’s cleanup, picked up several bags worth of litter, and spray painted “Dump No Waste” signs near storm water drains. Thank you to Victrola Coffee for donating coffee to caffeinate our volunteers and to the City of Seattle for providing tools, vests, gloves, and bags. Do you want to get involved in events like this and in our efforts to build the Melrose Promenade? Follow us on Facebook, email us at melrosepromenade [at] gmail [dot] com, and keep checking melrosepromenade.com for future updates. Who’s ready to build a promenade? 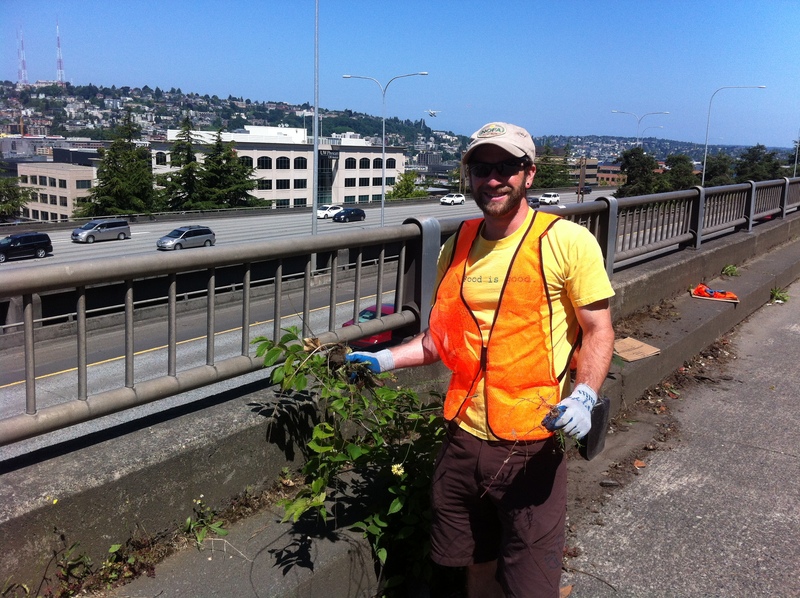 UPDATE: Check out the great photos from our friends at Central Seattle Greenways! This entry was posted in Uncategorized and tagged community cleanup, melrose promenade, muffins on melrose, victrola coffee by Melrose Promenade. Bookmark the permalink.